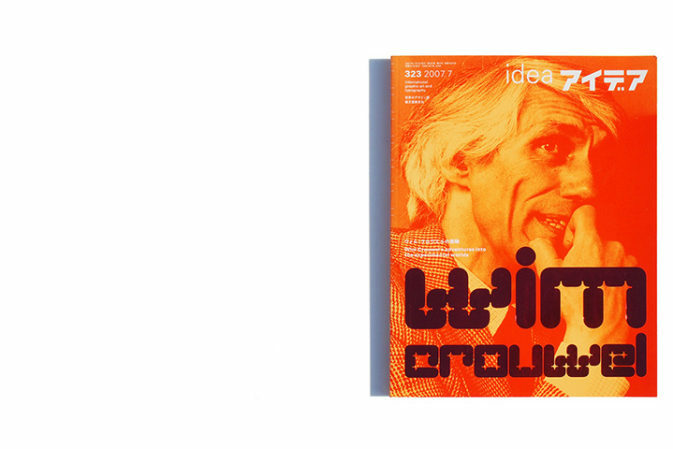 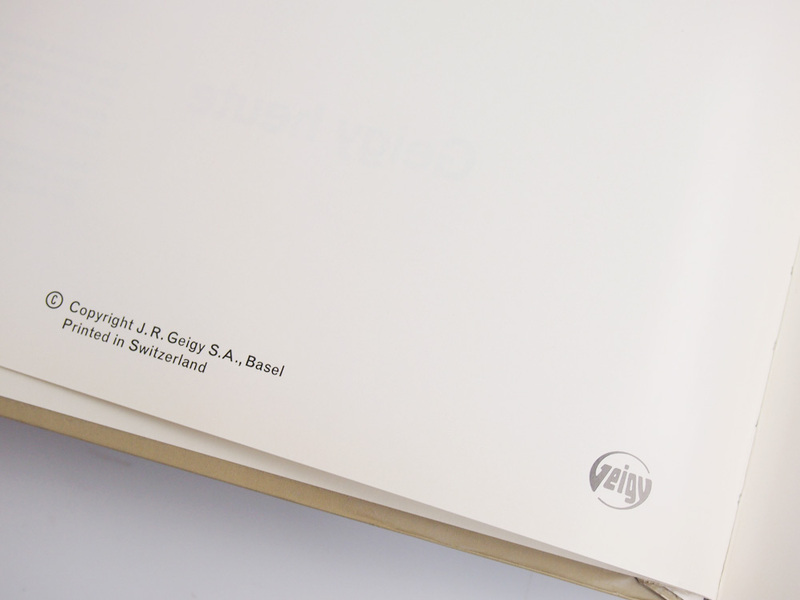 in basel, swiss typography is closely linked to the local chemical industries. 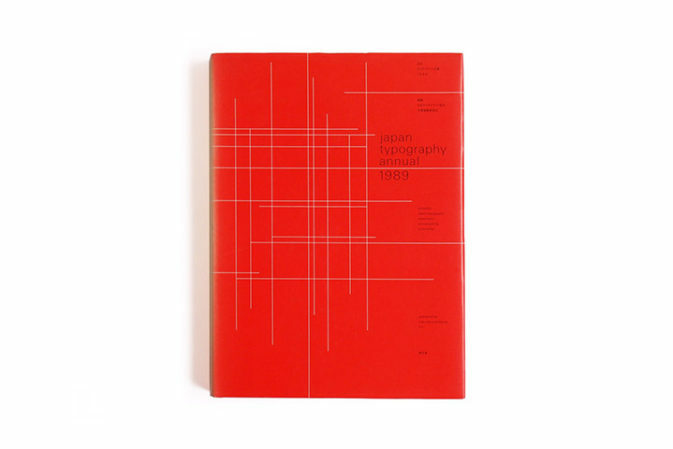 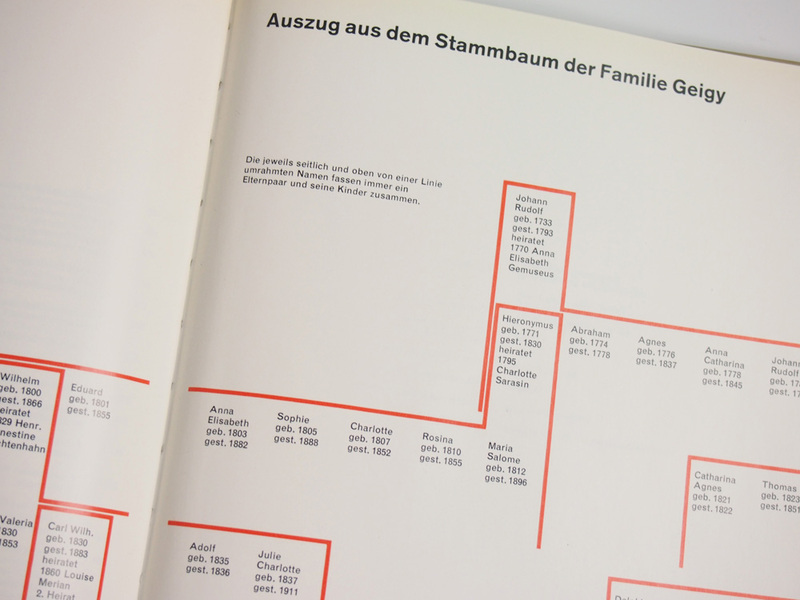 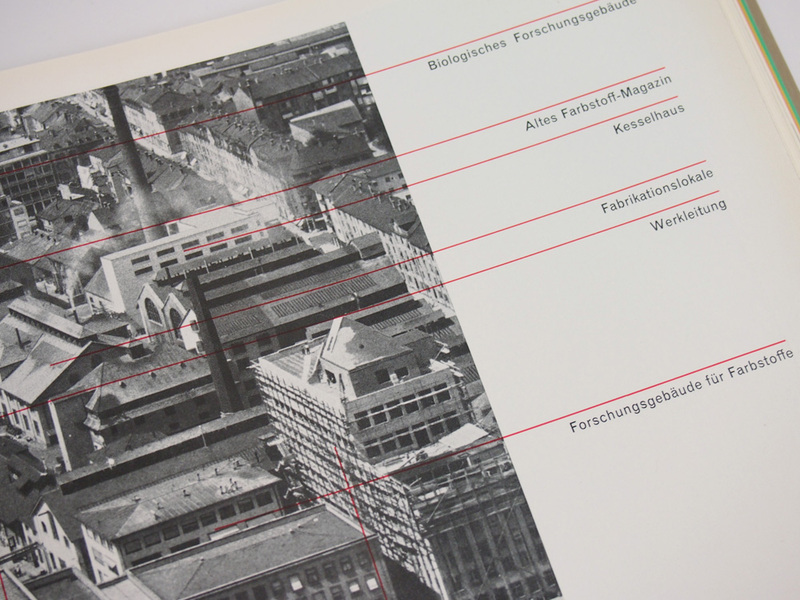 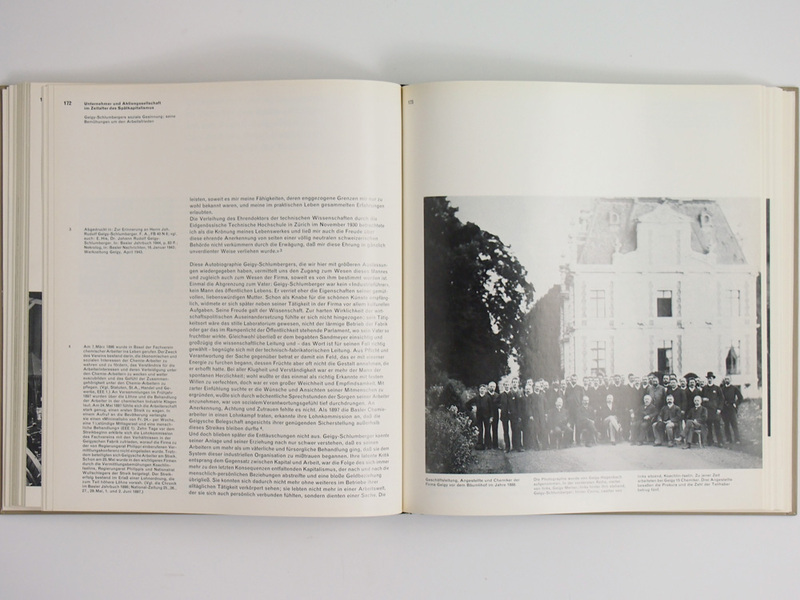 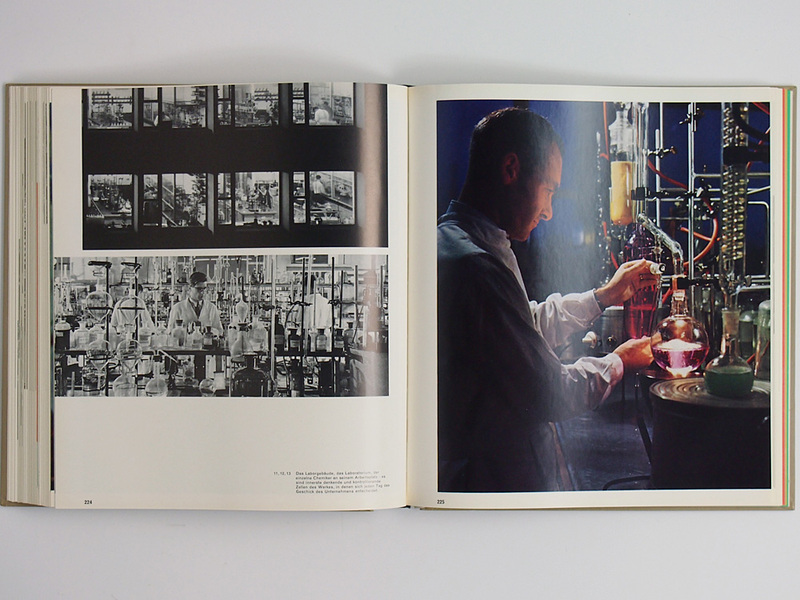 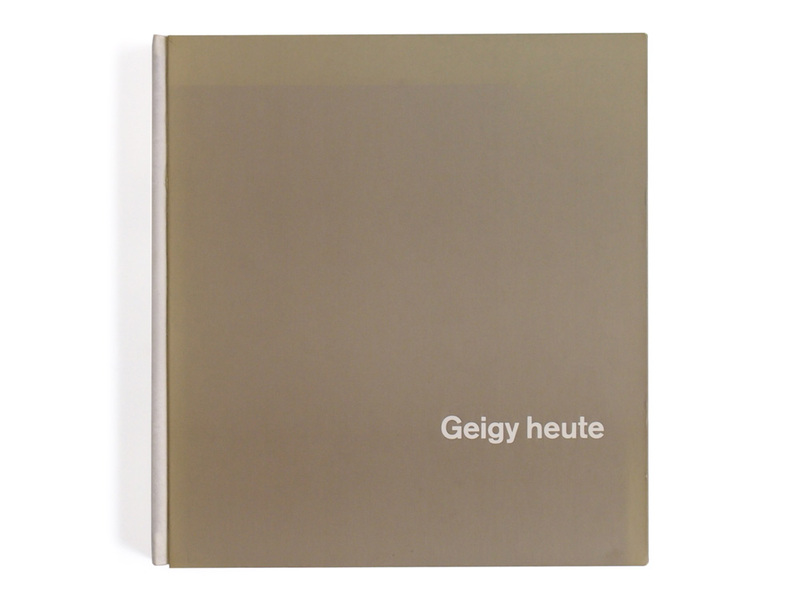 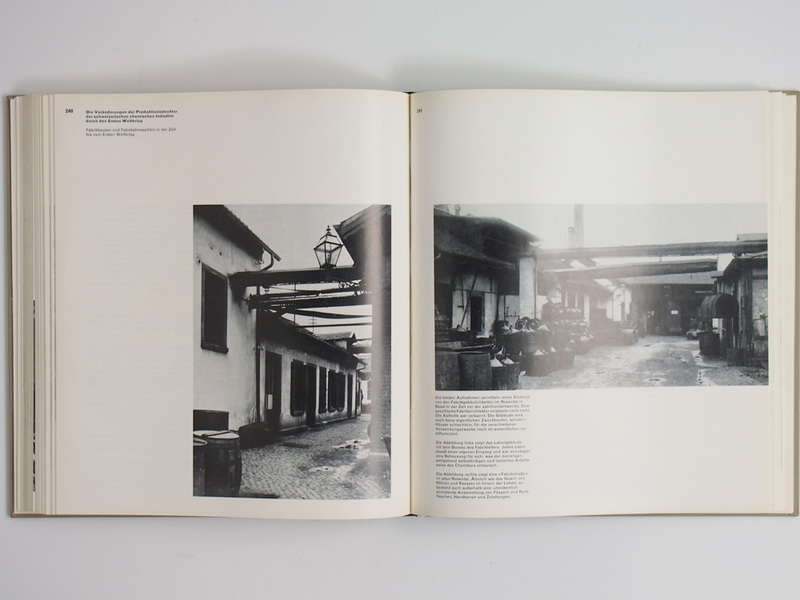 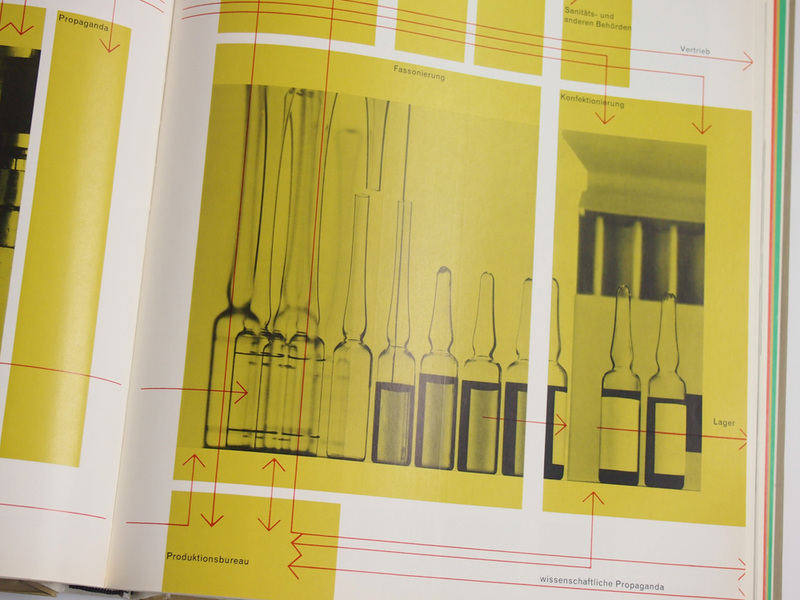 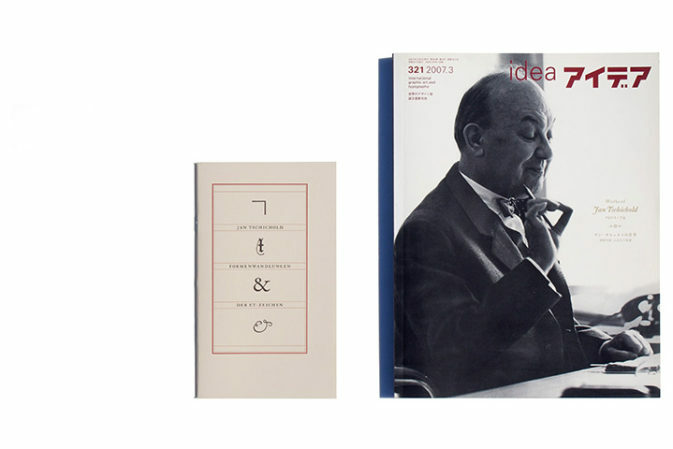 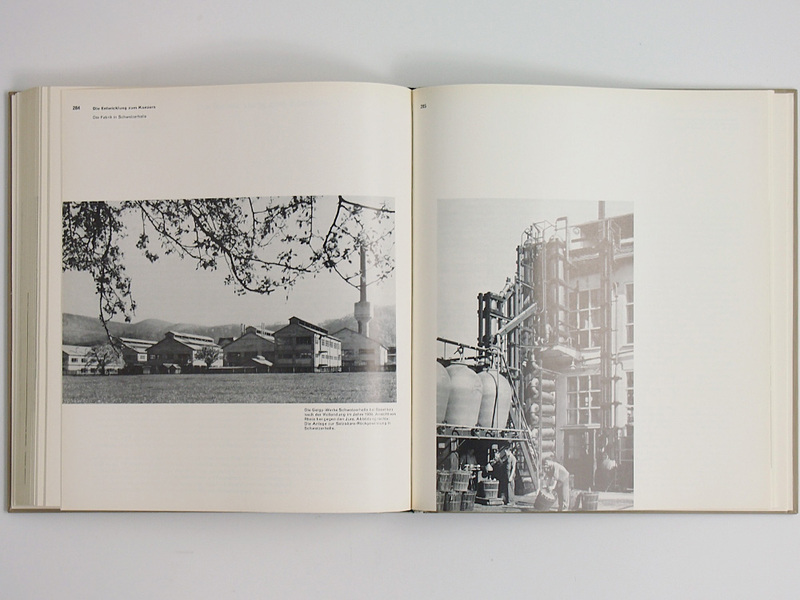 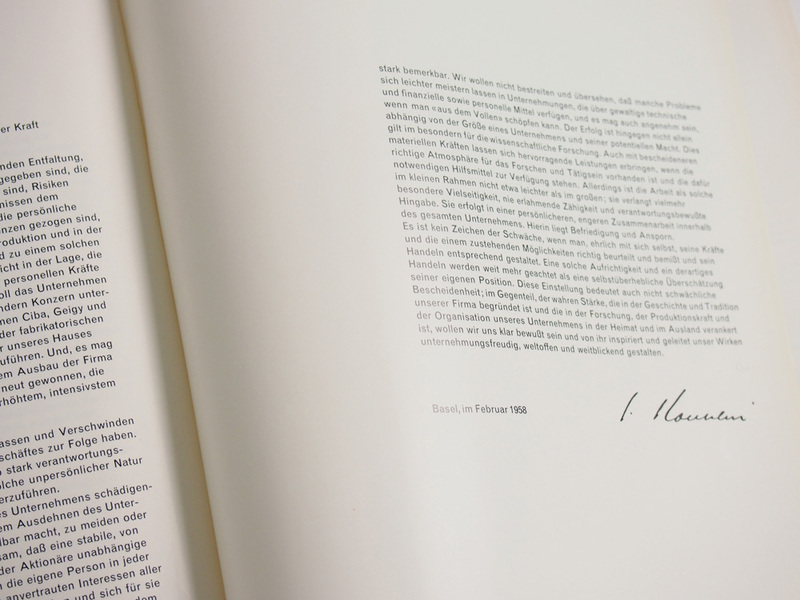 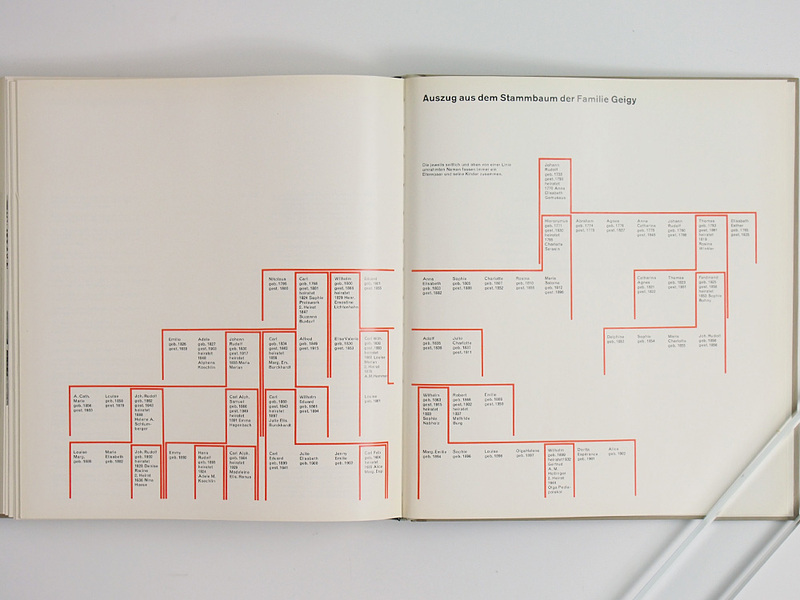 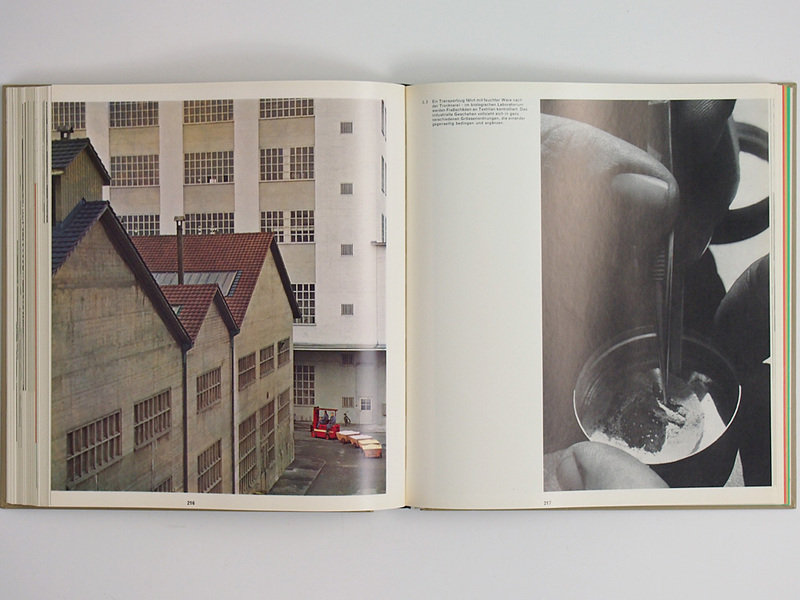 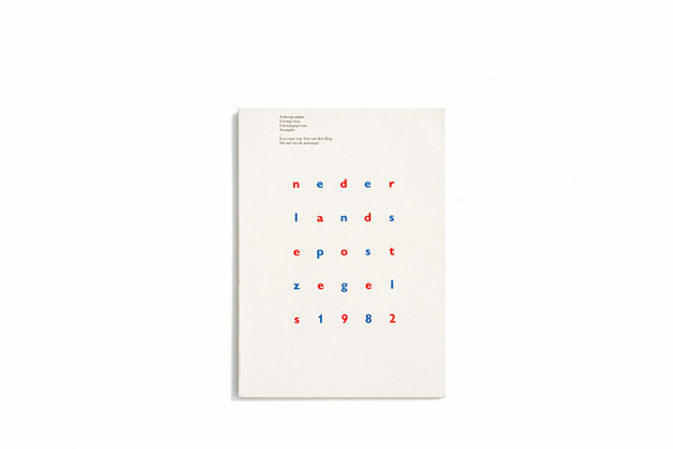 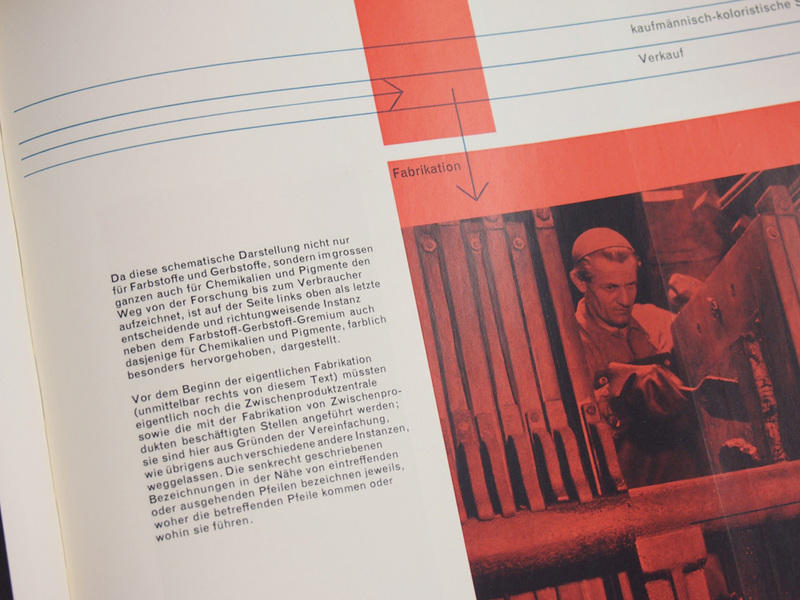 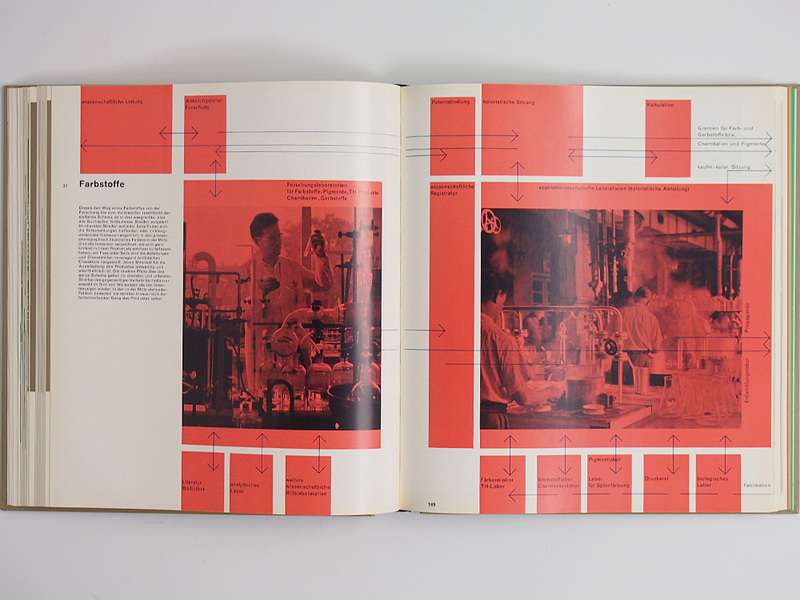 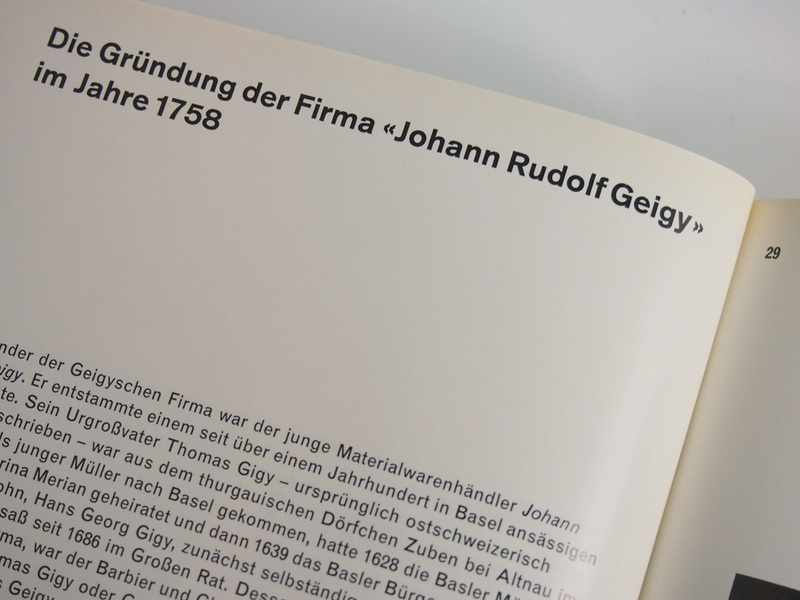 in 1958 the geigy company (today: novartis) celebrated its 200-year anniversary with a two-volume publication designed by karl gerstner (*1930) and (partly) written by markus kutter (*1925) – a “dream team” that later founded ggk, a successful advertising agency. 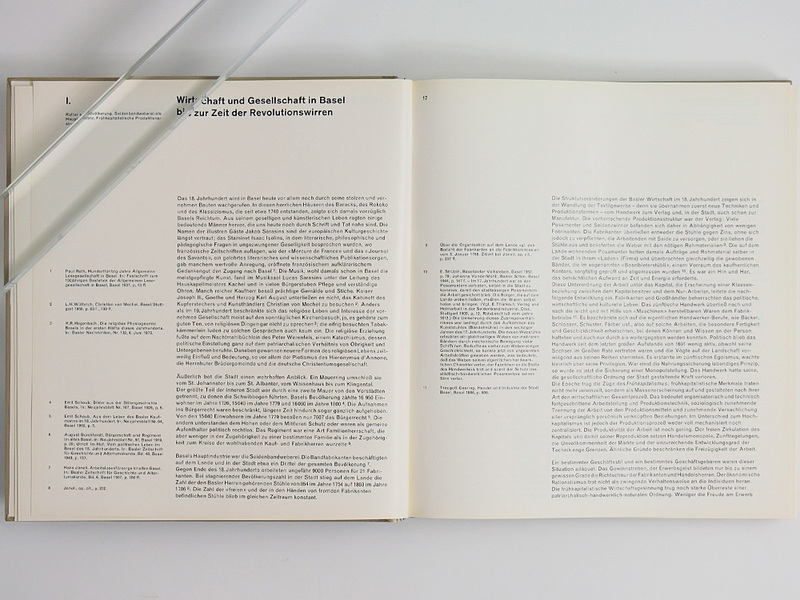 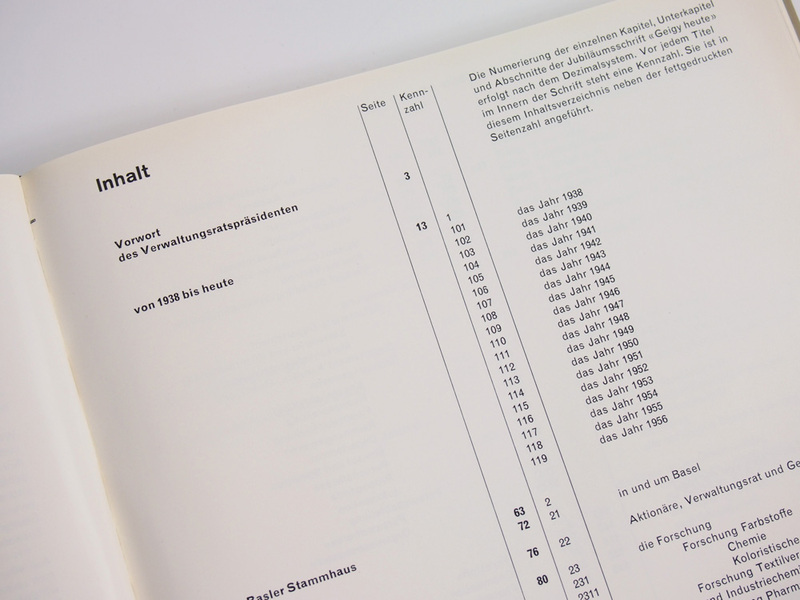 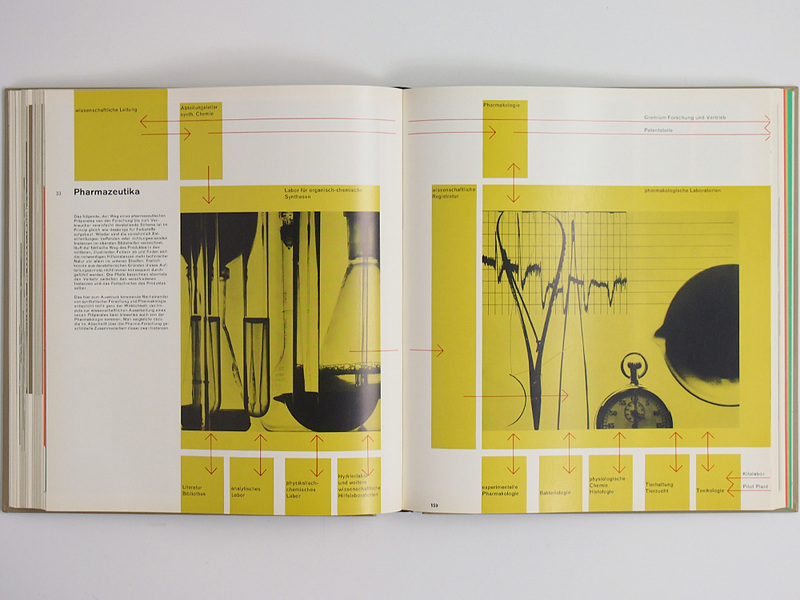 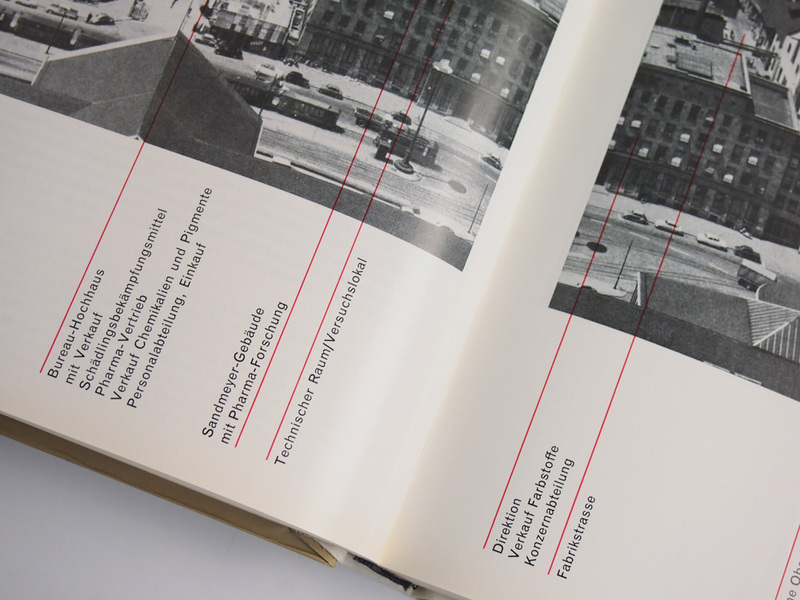 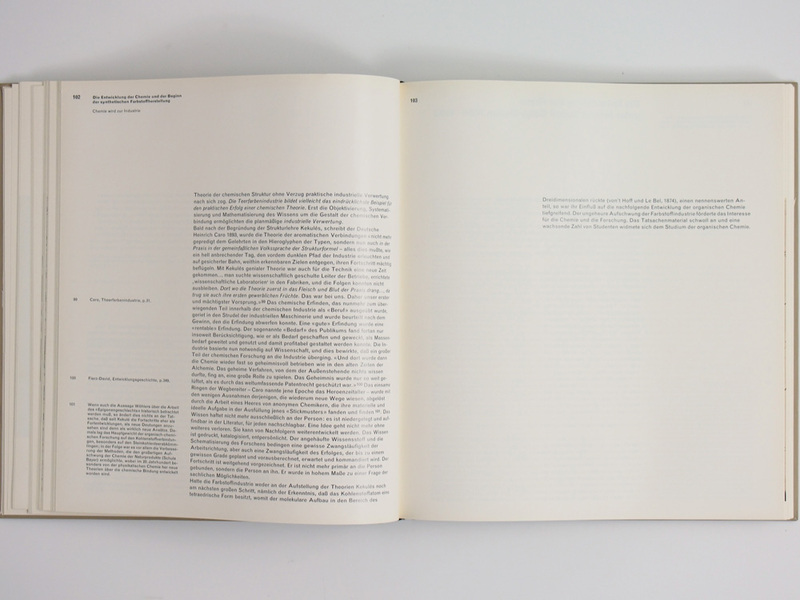 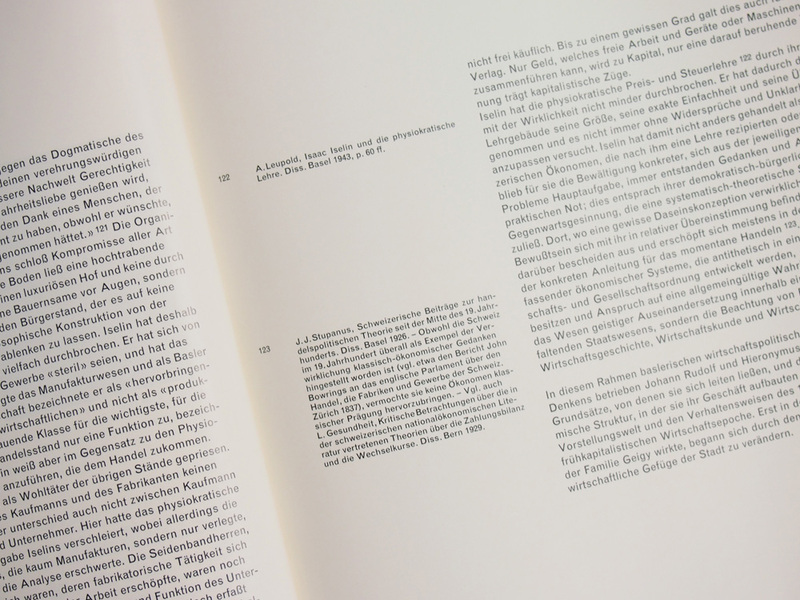 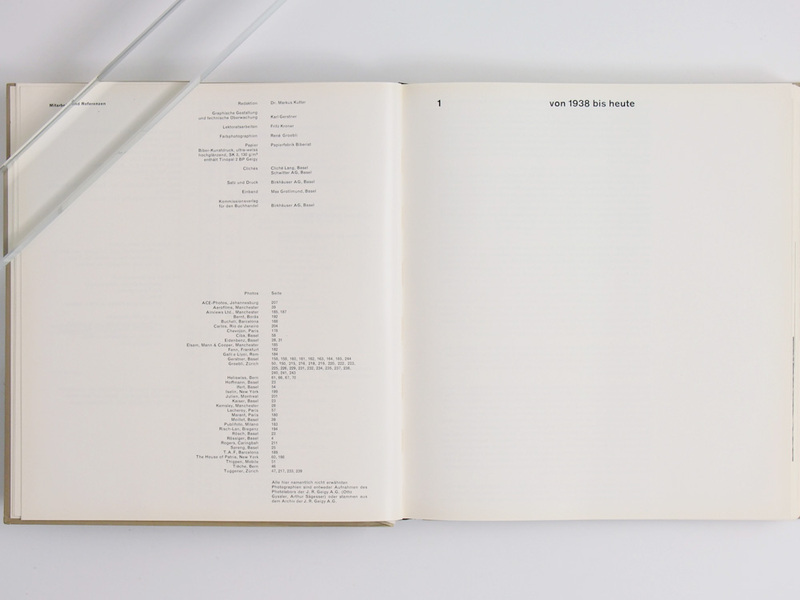 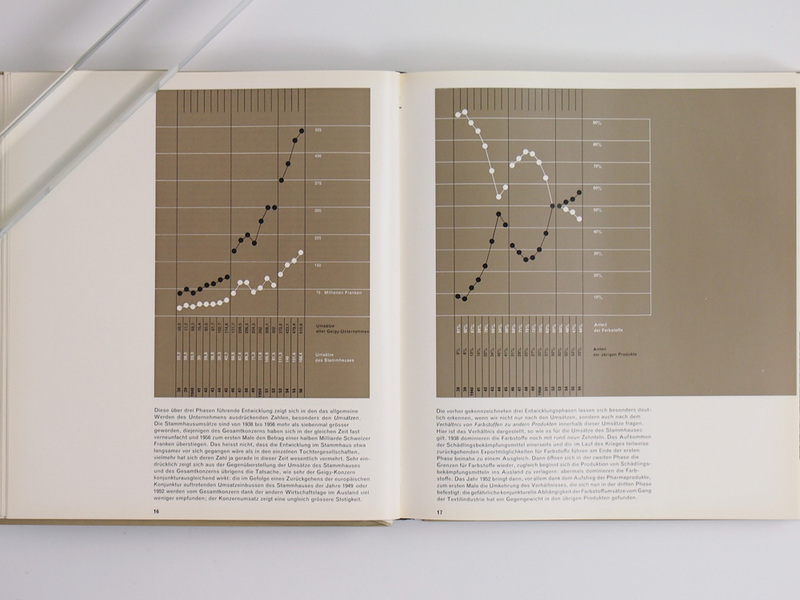 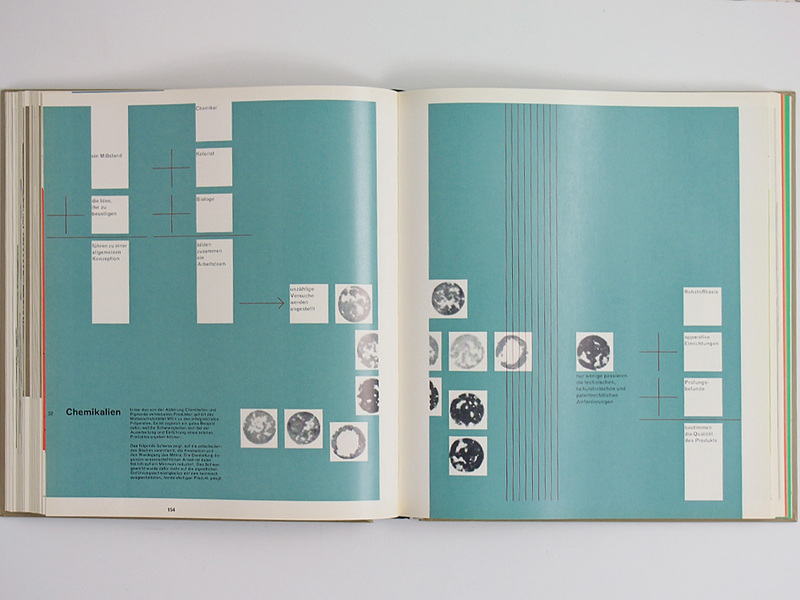 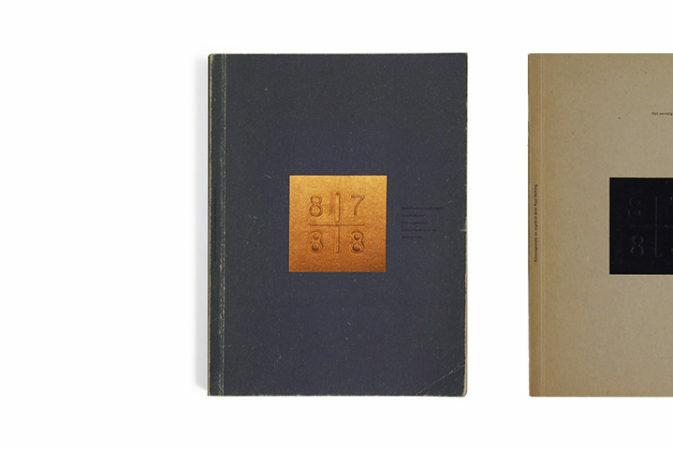 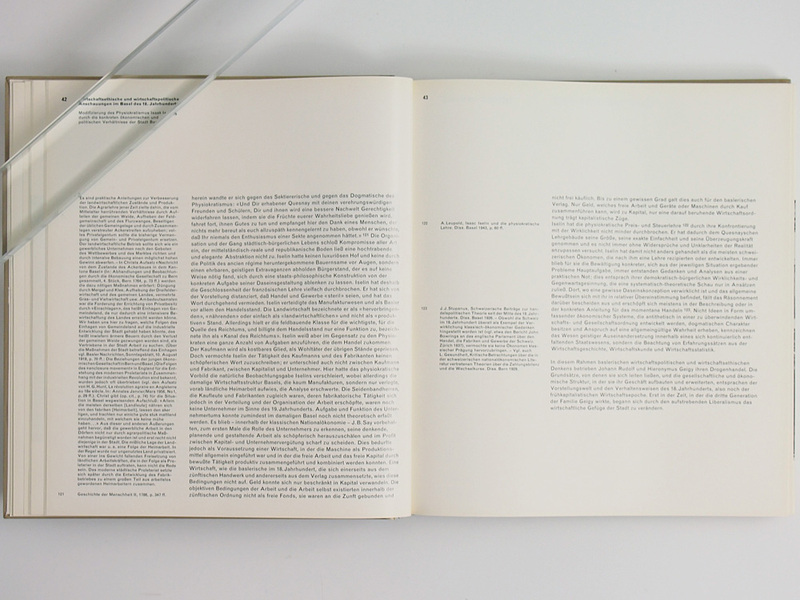 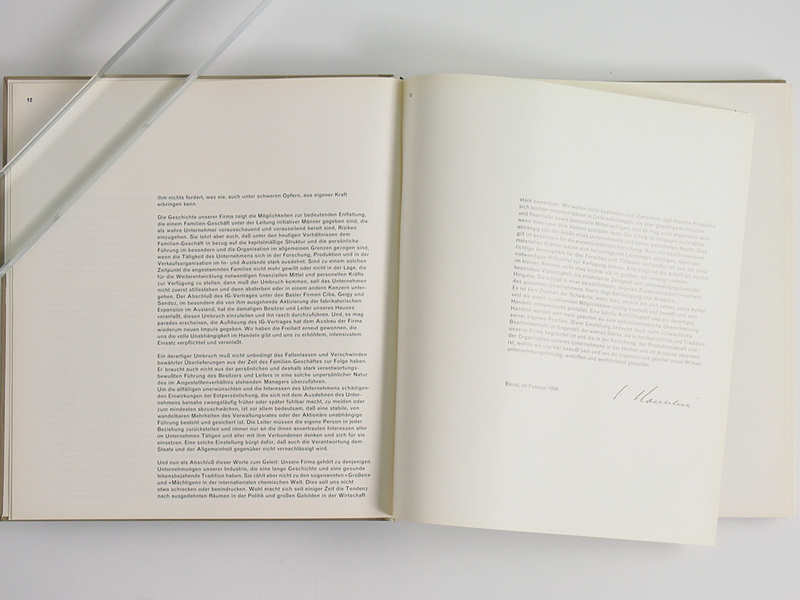 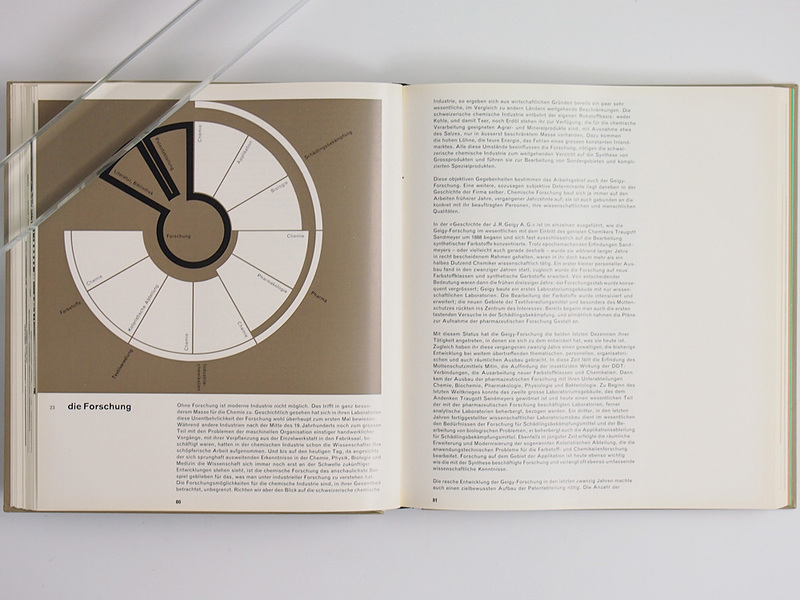 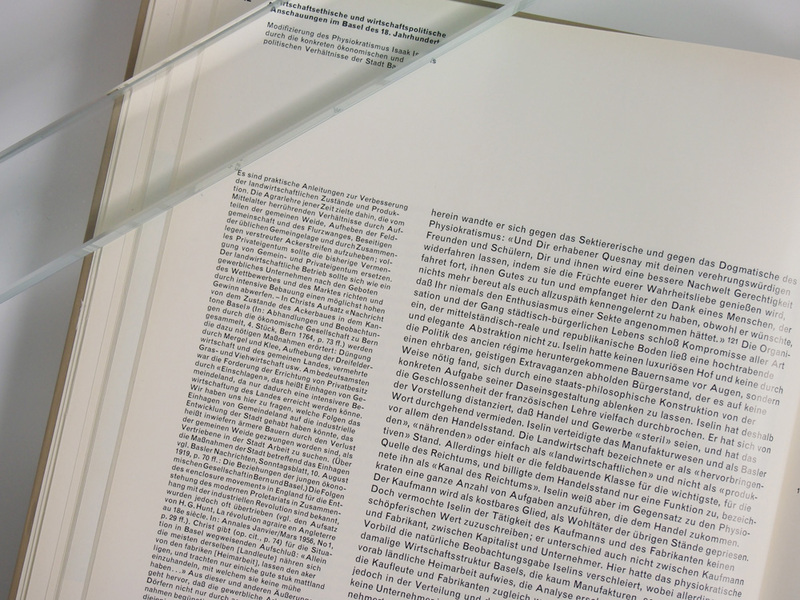 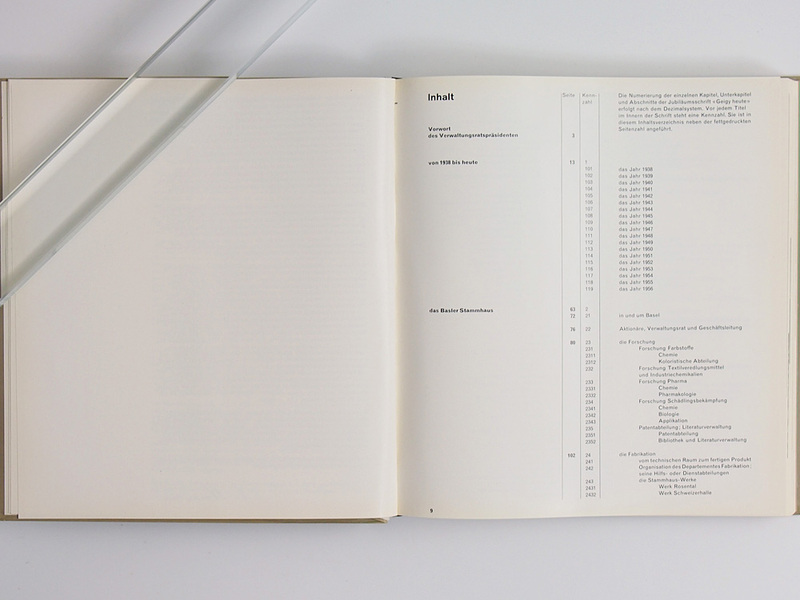 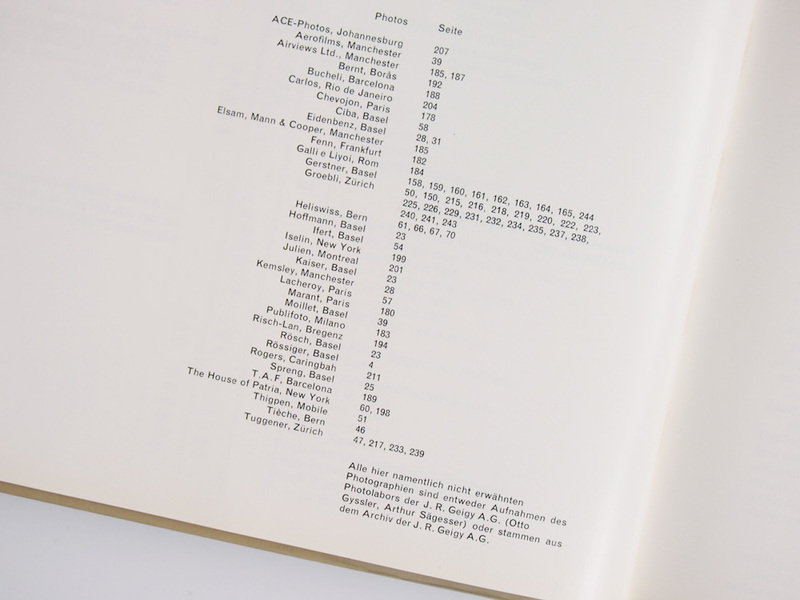 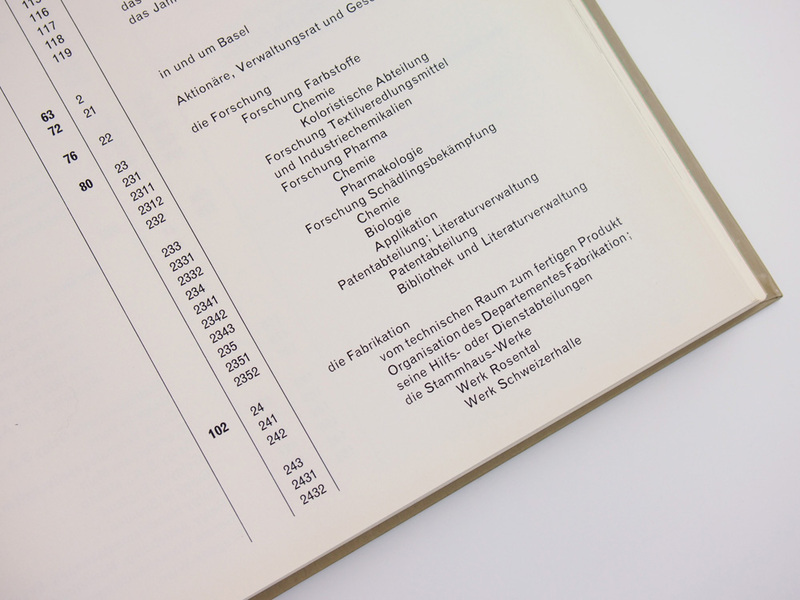 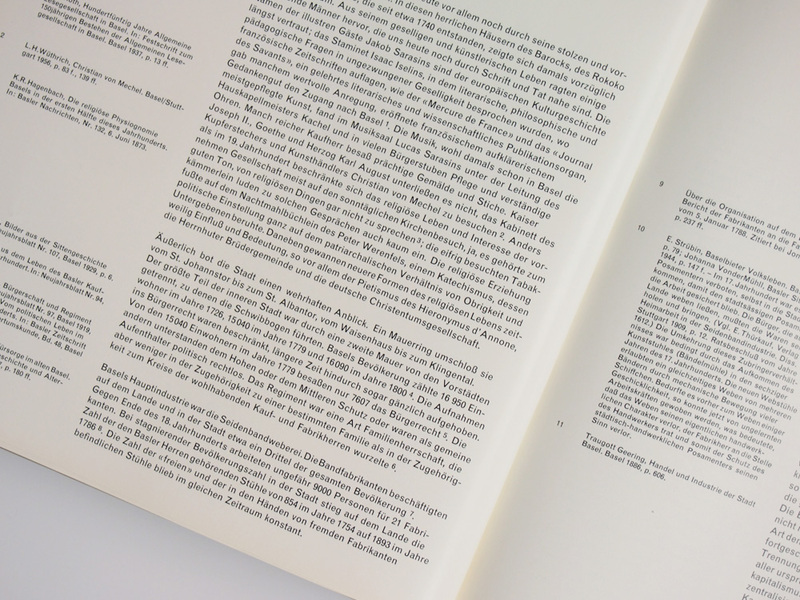 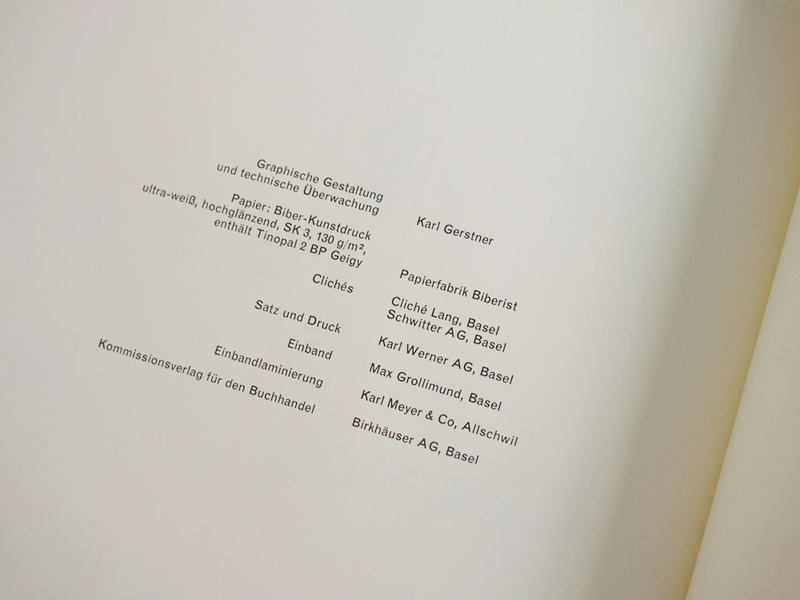 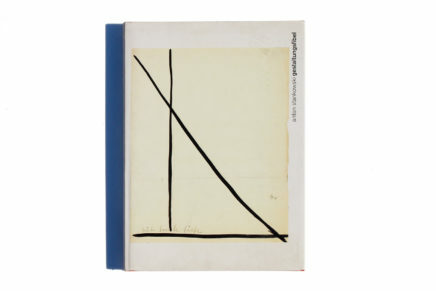 karl gerstner used his trademark square format with brownish card wrappers and a white spine – very similar to the books in stories 16 and 37). 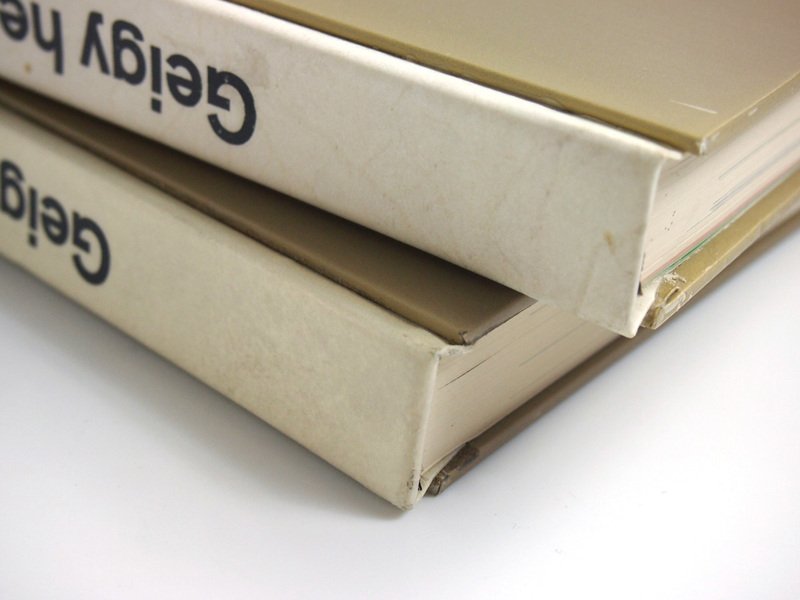 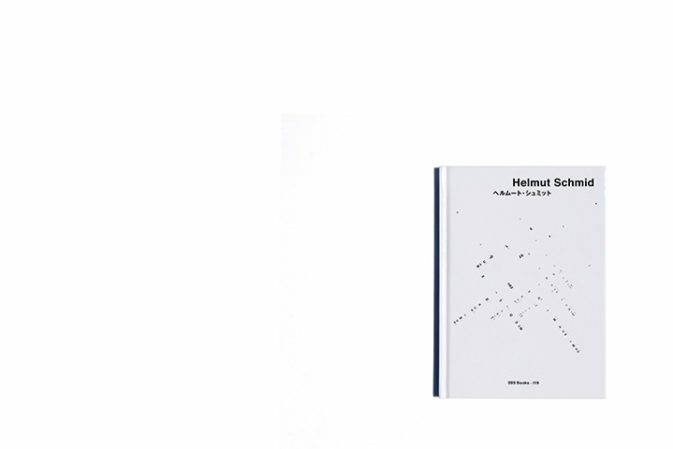 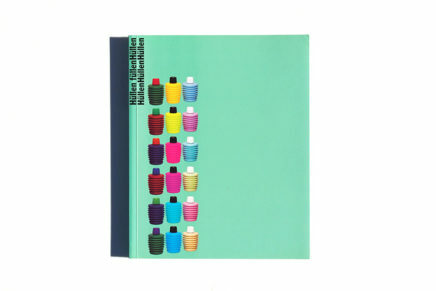 each volume has its own slipcase. 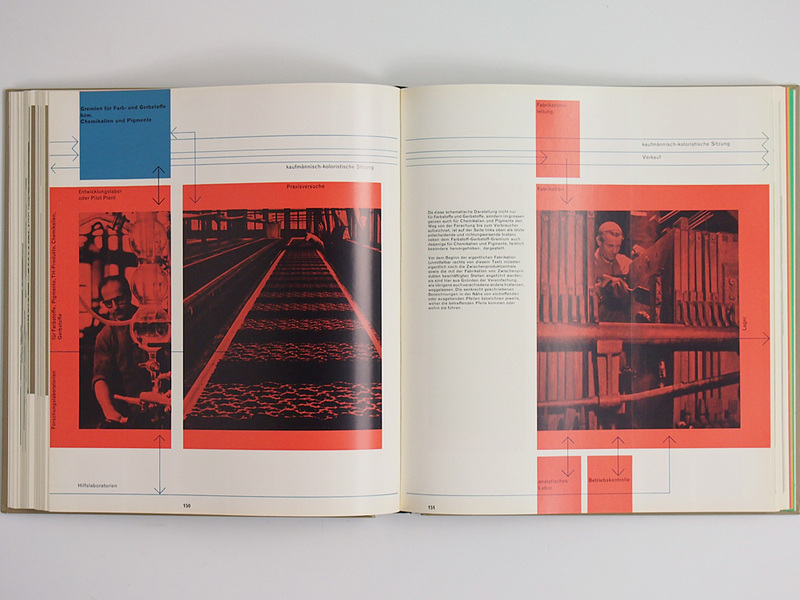 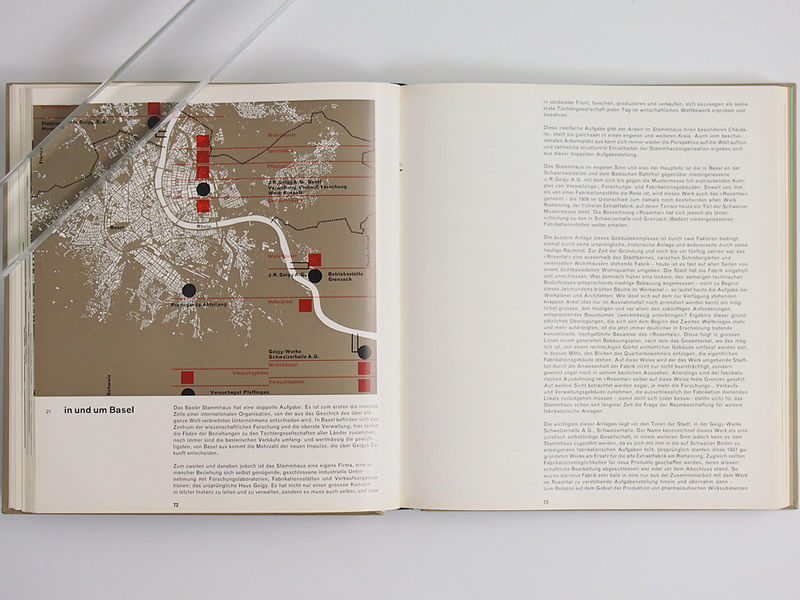 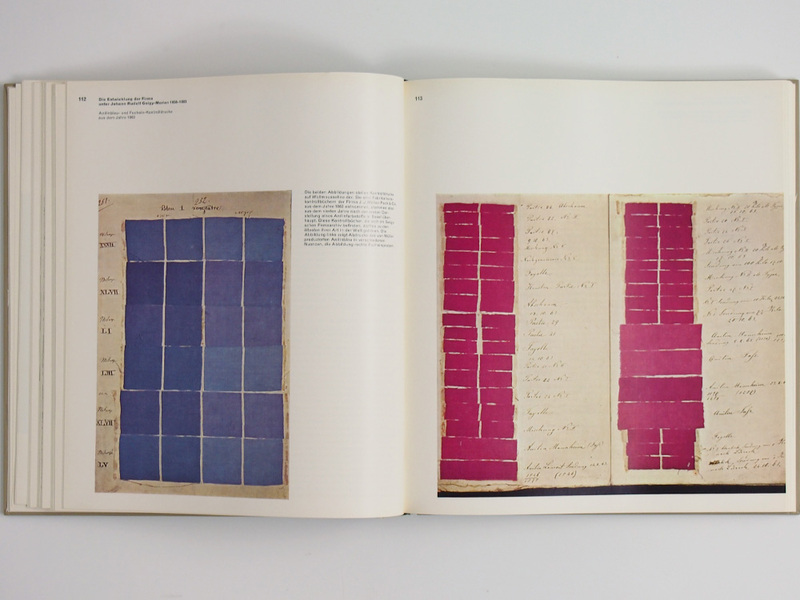 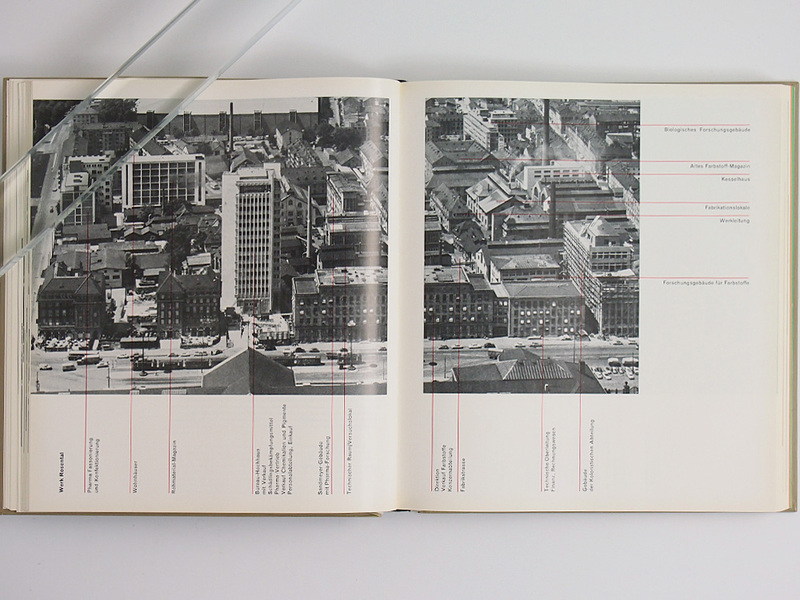 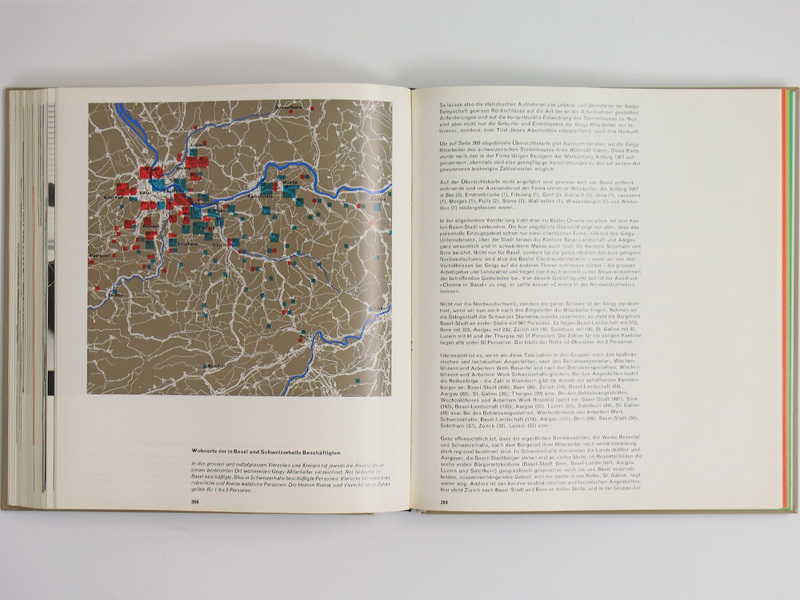 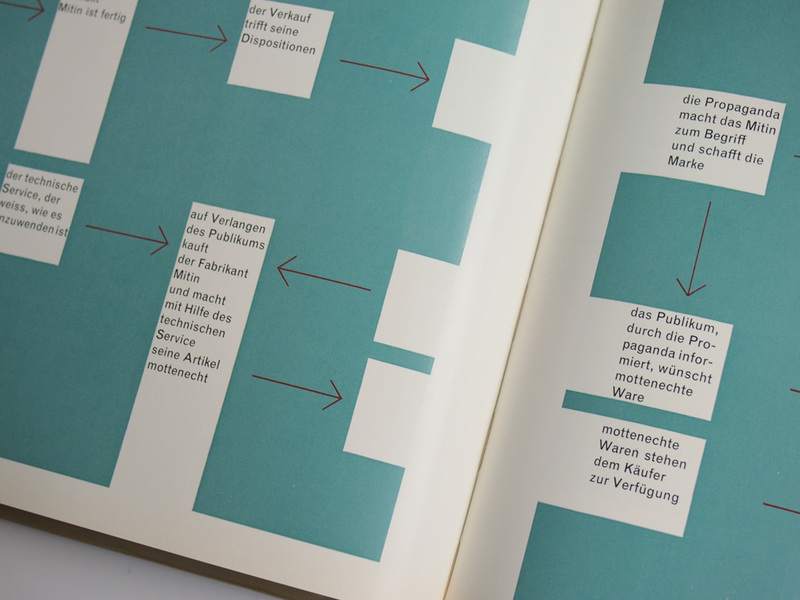 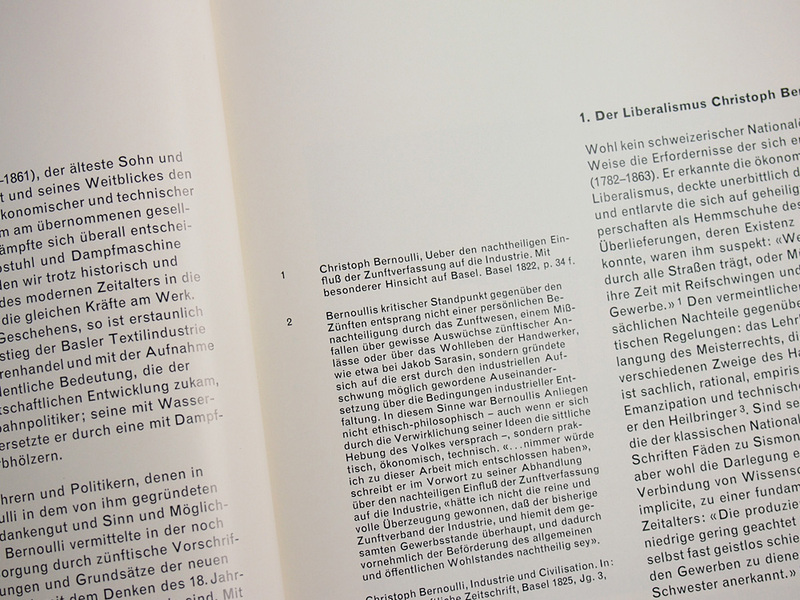 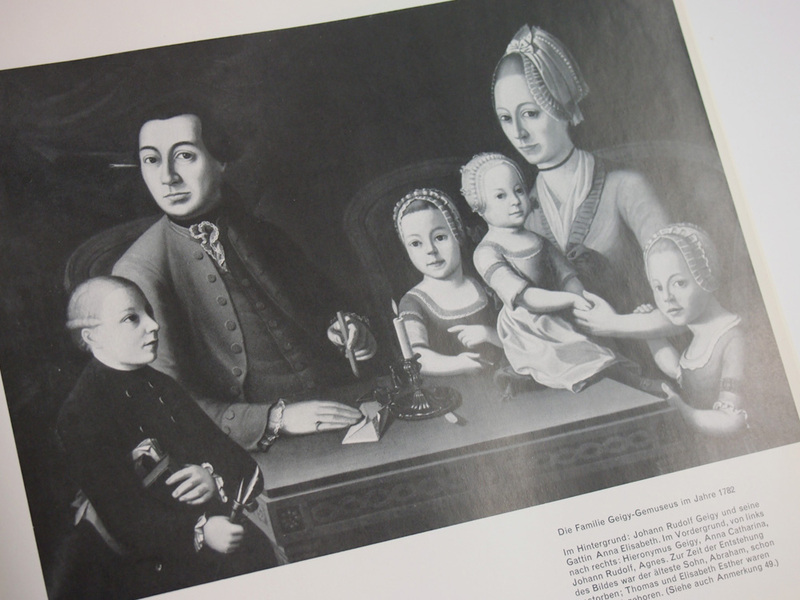 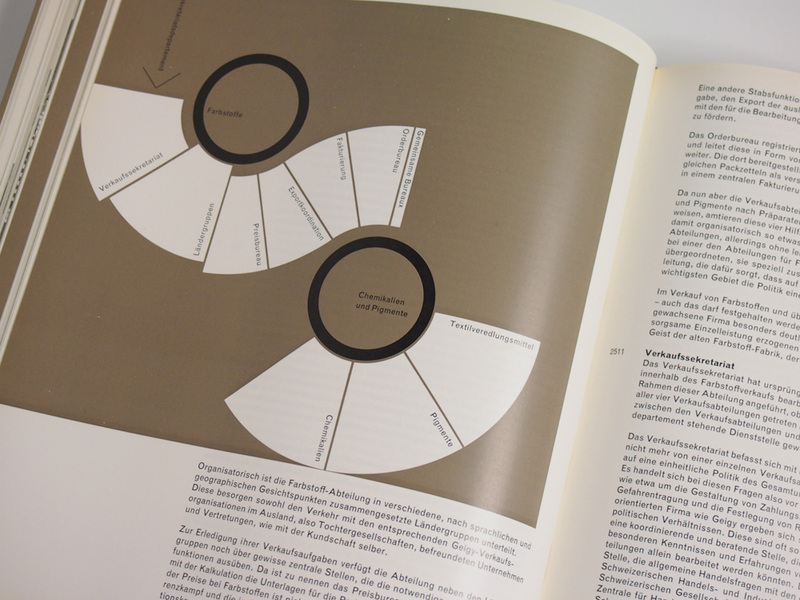 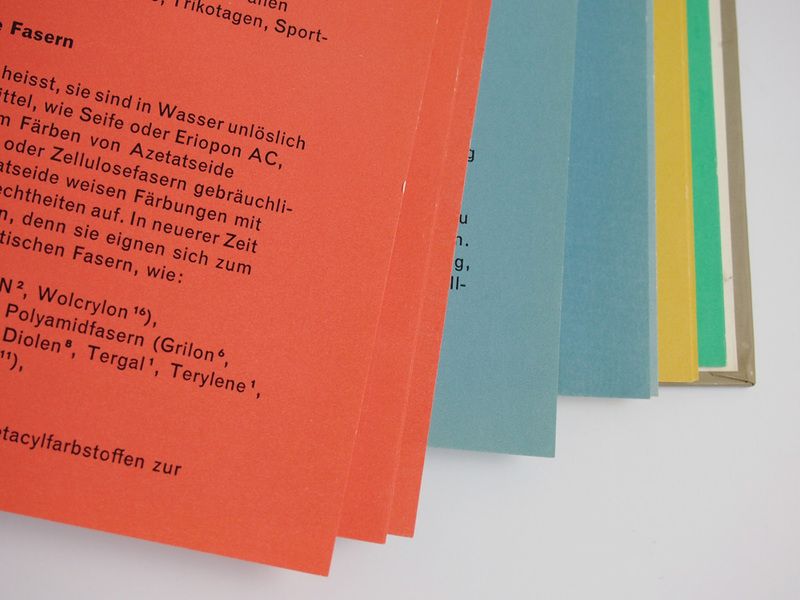 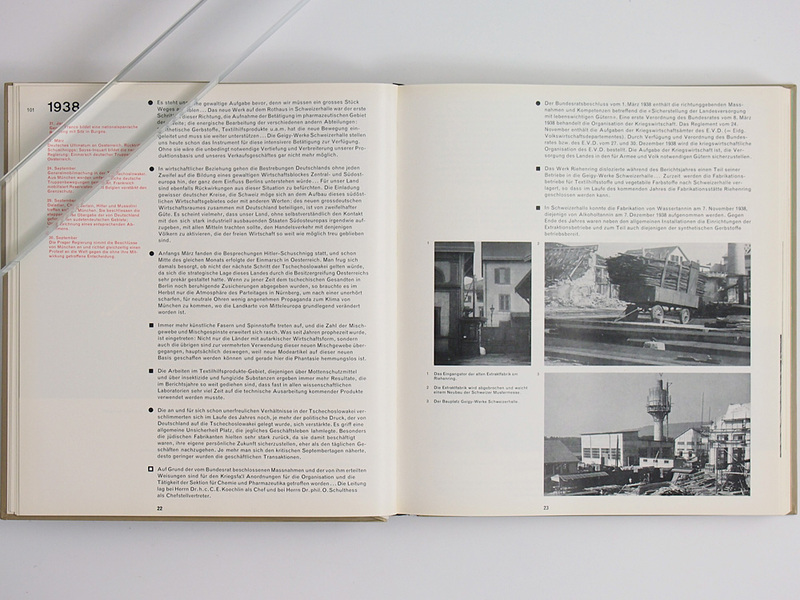 … and some sections have pages in different colours.